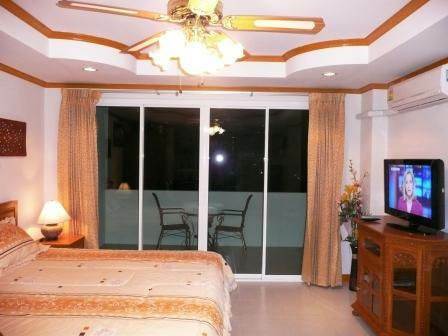 A.D Condominium floor 6 at Wong Amat Beach, Naklua. 32 inch LCD TV, DVD player, home theatre in some rooms. Size 35 square meters. Built 2009.